Disaster preparedness starts with a few things. 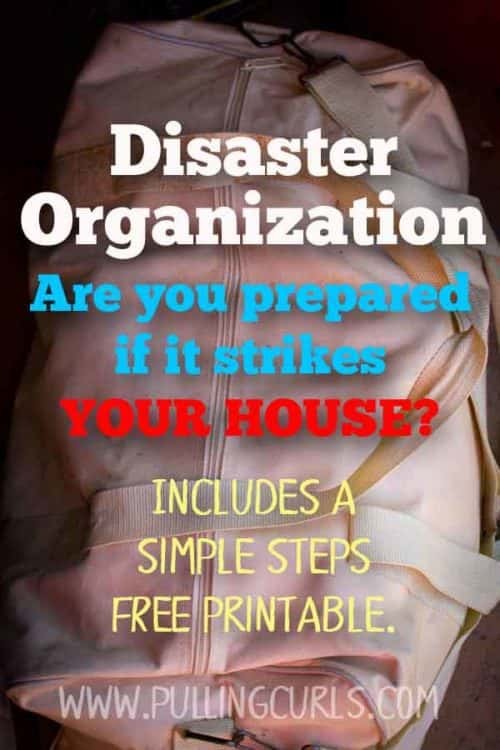 This post includes a preparing for disaster checklist that will get you ready! 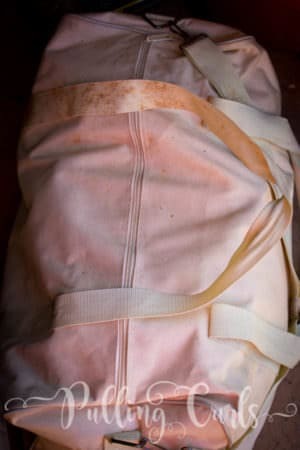 Disaster preparedness, frankly, is something I’d rather not think about. You’re probably wanting to know how to prepare for a natural disaster, on a budget, to help your survival. Maybe even for issues of terrorism, or any other type of emergency situations. This post will get you prepared! 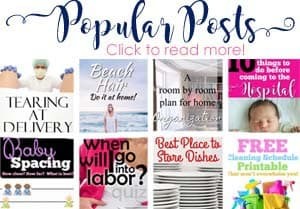 With all that’s been happening in the world lately, I really wanted to share some awesome ways to get prepared for a disaster. When we lived in the Bay Area and experienced earthquakes quite frequently, I became a bit of a preparedness fanatic. 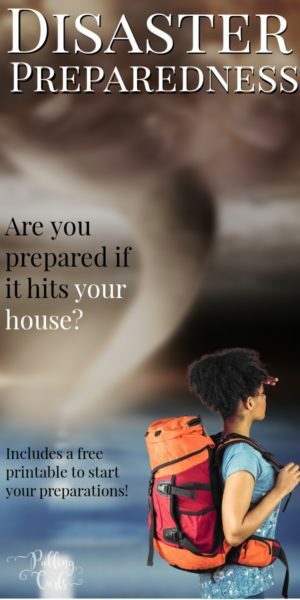 Natural disasters are a bit less likely where we live now, but it is always great to be prepared. You always hear people talk about all the photos they lost. I have it set up on my phone and on my computers where it just uploads particular files automatically. AND, with prime, you have an unlimited backup on photos. So, it doesn’t matter how many you take! It is a great perk of Prime that a lot of people don’t know about. Prime also gives you some storage (storage at Prime is also SUPER cheap, cheaper than google drive). But there are lots of services that give you some amount of free storage. Off the top of my head, Google Drive, DropBox, Box.com — I bet most people have some sort of backup options. I have a file on one of my drives that holds our important papers. I keep it in a weird file with an oblivious file name. Right now I use a service called LastPass that can hold documents and I hope to move these to them, as their password protection is REALLY secure. The service is free and I love their password protection in general. 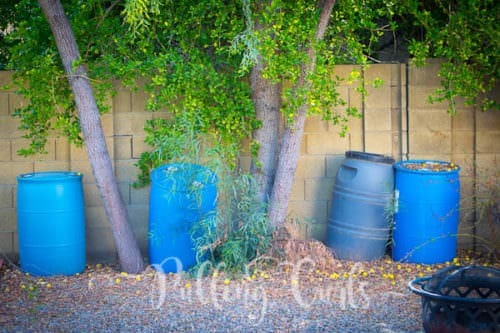 We keep large water barrels in our yard (in a shaded area) for any serious water issues (these options here are great too — and probably more portable). Now, the water in these barrels is likely to be sort of nasty after a few years of being in there. BUT, it’s better than nothing. However, we also keep about 15 gallons of drinking water in various areas of our home that we could use also. In our emergency preparedness kits I also have some packets of crystal light/water flavoring so it will be more palatable. You’re going to want to have a fair amount of food on hand that is easily cooked during an emergency. For us, it’s things like Pasta and sauce, canned chicken/tuna, canned pineapple. Just think of having some things in your food storage that are easy, your family would eat, and fulfills some basic nutritional needs. 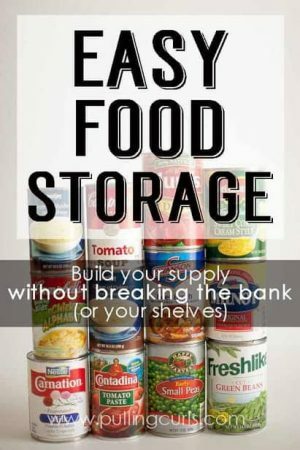 You can see my whole post about long term food storage and that will gives you some ideas on how to get started in that area. Note: If you are storing cans, be sure to have a can opener handy (we have one in each of our…. These have become more popular as of late, but Mormons have been making 72 hour kits for years. (In fact, if there are any of these areas that you could use some help on in your local area — I’d suggest asking your Mormon friend, we’re pretty great on emergency preparedness). In case you don’t know anything about it — it’s a kit that you can grab and have 72 hours worth of supplies with you. For us, we have one in our car at all times (we switch out the contents once a year). 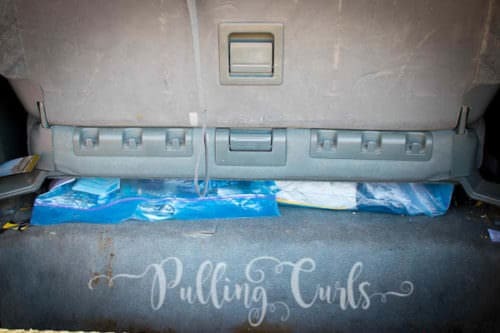 I used large ziploc bags to be able to keep it under the back van seats (which I think is pretty genius). This car pack has come in handy a FEW times, mainly becuase it also holds an extra set of clothes for each of us! We also have a larger one that sits next to our car. Wondering what to put in yours? 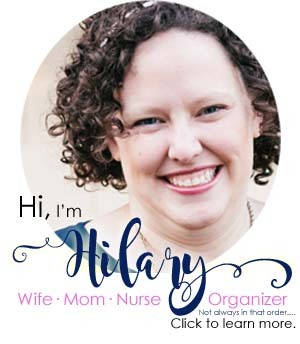 My friend Katie has a great free 72-hour kit printable to try! Clearly, nothing can prepare you for an emergency, but you can do some basic practice drills. We do yearly drills with the kids about what they’re supposed to do if the fire alarm goes off. As well as discussing what they should do with tough situations, like their father and I not making it out (don’t go back inside). Know your neighbors, so your kids feel comfortable going to them during small emergencies. Do a mental drill about what you’d grab if you had to evacuate in 10, 30, or a few hours. Practice for whatever emergency is most likely to happen in your area. In CA we did earthquake drills where kids got under a table or under a doorway. In MANY emergencies, your gas line can be an issue. If you have natural gas into your home, get a gas turn off wrench and know how to use it. If you have no idea — contact your local utility company. This is a carry-over from our time in the Bay Area, but any time kids have giant pictures or things hanging over their beds, I get nervous. Hang pictures other spots. Have free standing shelves in other spots, but not over beds. In addition to our 72 hour kit, there are things we might need if we planned a long term bug out (where we have to go far). We have a car kit that comes on all our vacations. It’s easy to grab. It includes things like Funnels, ropes, sunscreen, bug spray sanitizer, etc. We also use it for quick camping trips. The thing about this kit is that it’s used fairly frequently. So, we update and stock it. It’s just handy to have in the car and I always think I’d grab it if we had an emergency and had to evacuate. In addition to our 72 hour kits. You might need to not only cook dinner, but also perhaps boil water. It is just handy to have another method to cook by. This is always on the back of my mind, and I have yet to get one. However, our main emergency here would be a long term shut off of power during the summer. Since the heat gets upwards of 100 here from May – October we’d need to be able to power fans, etc. 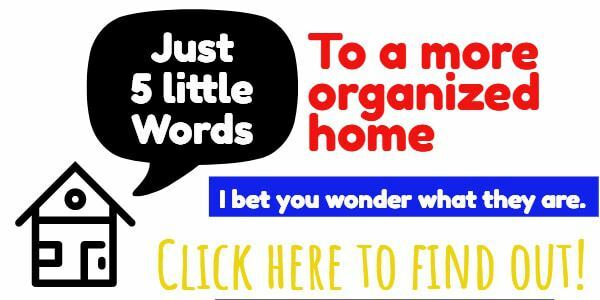 Figure out what you would like to power and then buy one that is sufficient and fits in your budget (I’ve used this guide before). I had looked around for alternative methods when I was wanting to power our AC — BUT it seems like you’d have to have the generator installed to your home. Fun fact: Solar panels don’t work if the power goes down (at least the companies I had looked into). That seems incredibly lame, but true. Having trees that are healthy and slimmed down will lessen their chance of falling, or large branches falling off. Pruning them regularly is a great step to take. I would also recommend having someone who is an arborist check your trees every now and then for health. In California, they always recommended that you have an out of state contact that you should all know to cal lin case of an emergency. I guess calls in-town will be hard to get but out of state calls will still work. My mom is our out of state contact to call. If we were at work/school/etc the plan was to call her if we couldn’t get hold of each other so that we could keep in contact easier (and have one central point for all calls). This is for every day emergencies. We keep one in our garage (one time my husband did use ours to put out a fuel in his engine compartment) and one in our kitchen. Make sure older kids know where they are and how to use them. 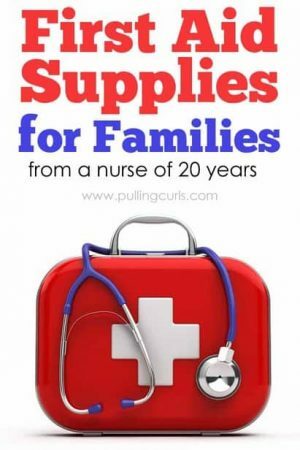 First Aid Supplies – Get prepared!